As interest rates rise, homebuyers are discovering that they can’t afford as much home as they could have just a few years ago. The 30-year mortgage rate recently stood at about 4.6%, according to a BankRatesurvey of national lenders, the highest rates have been since 2014. 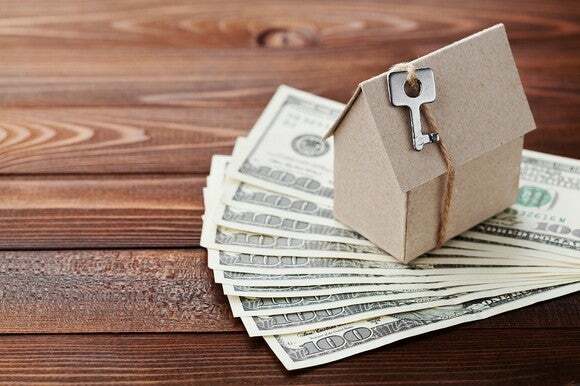 Should mortgage rates continue higher, buyers may have to save more for a larger down payment or simply buy less expensive homes, as each marginal increase in rates has a big impact on how much you can borrow. Typically, people use a mortgage amount and interest rate to calculate a payment. Instead, we’ll be working backwards, using a mortgage payment and interest rate to determine how much you can afford to borrow. But first, we need to set a baseline. I’ll use $200,000 as the mortgage amount in this example, since it approximates about how much you’d need to borrow to buy the median home in the United States. 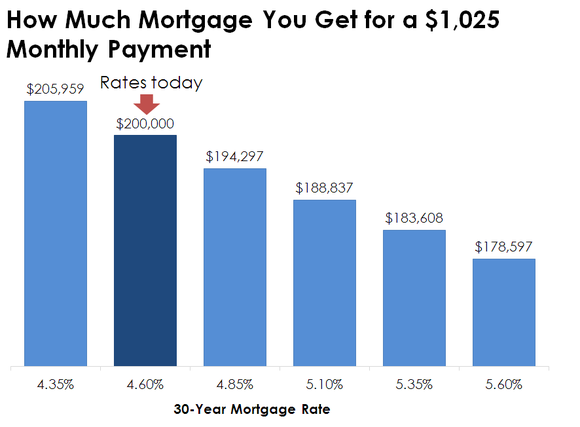 With a 30-year mortgage at 4.6%, borrowing $200,000 would set you back about $1,025 per month in principal and interest payments. That’s simple enough. But what if interest rates rise 0.50% or fall 0.25%? How much could you afford to borrow then, assuming you wanted to keep the same $1,025 monthly payment? The chart below shows how changes in the interest rate affect how much you can borrow.